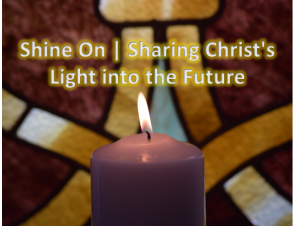 The “Church Home” for multiple generations in the Overbrook community – Shine On Church! The place families have wed, been baptized, celebrated end of life, and accepted God’s plan for salvation – Shine On Church! Together, we built the current Church building in 1983 – Shine On Church! After 34-years of service, weather and heavy use (Praise God for that!) have left their marks on our structure and interior furnishings – Shine On Church! It’s now time for our Church family to again show the strength of their dedication to stewardship and put a new – “Shine On our Church! Your financial support above and beyond your regular Tithe and Offering will assure that our Church continues to serve your future family as it has served you and your past family. This renewed Shine will keep the beacon of Christ’s Light shining for those that desire to find God’s Love and the promise of Hope it delivers. The Overbrook United Methodist Church is an “anchor” in the Overbrook community. New residents and visitors recognize the value of the United Methodist denomination and look for a traditional Church building and services for worship. We have been blessed by it and have a responsibility to keep it alive and well far into the future! Please pray about the commitment you will make to support this campaign…and know that God will Bless You for it!